This review first ran in the Jan. 28 edition of The Hamilton Spectator. I’d dodge four lanes of one-way traffic for a quinoa, chickpea & black bean salad and a Cuban super burger. But I don’t need to risk life and limb because the Earth to Table Bread Bar and Chuck’s Burger Bar have set up shop on Locke Street South. It’s a thriving street in Hamilton’s lower city that proves Jeff Speck’s Theory of Walkability. Speck, a city planner, architectural designer and author of Walkable City, says you can attract a whole lot of pedestrian traffic if you offer a walk that’s useful, safe, comfortable and interesting. “Useful means that most aspects of daily life are located close at hand and organized in a way that walking serves them well,” says Speck. “Safe means that the street has been designed to give pedestrians a fighting chance against being hit by automobiles; they must not only be safe, but feel safe. Locke Street South delivers on all four counts with slow-moving two-way traffic, curbside parking and a healthy mix of restaurants, shops and residences. What’s more, the street isn’t saddled with long and boring swaths of vacant lots and blacktop or what Speck calls missing teeth. 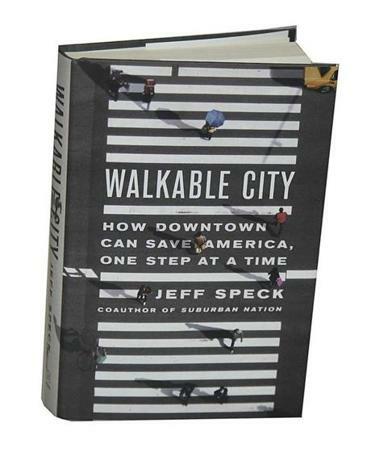 “Get walkability right and so much of the rest will follow,” says Speck. Speck outlines a host of other ways that could revitalize the heart of Hamilton. Get more people living downtown by allowing homeowners to add granny flats and introduce inclusionary zoning to strike the right balance of market rate and affordable housing. Speck warns many downtowns have too much affordable housing. Revisit how much parking is mandated for new businesses and condo developments. Rather than require parking beside or behind buildings, allow owners and developers to pay in-lieu fees for shared spaces at nearby and centrally located municipal lots and garages. “Instead of providing parking, businesses are only required to pay for it, which allows the parking to be located in the right place and, importantly, shared.” Allow owners and developers to offer parking cash-outs so employees and condo dwellers can trade their parking spaces for cash equivalents. Set height limits on new construction to encourage more mid-rise development and avoid having entire downtown blocks dedicated to single tall towers set back from the street and surrounded by acres of parking. In the District of Columbia, buildings can only be 20 feet taller than their width. Put fat roads on a diet and reuse eliminated lanes for a combination of angled street parking, separated bike lanes, wider sidewalks, patios, trees and awnings. And to borrow a line from Speck, we can’t afford to have a downtown that’s easy to drive to, but not worth arriving at. This review first ran in the Jan. 14 edition of The Hamilton Spectator. A question from the audience left Brad Feld stumped. Feld, an early stage investor, entrepreneur and author of Startup Communities, was talking about Boulder’s thriving startup community with a local business and government crowd. “What do you think ecodevos should be doing to help?” someone asked. Feld was stumped. He had no clue what ecodevos were. “All I could think of was ‘Whip It’ from the punk rock band Devo and I had to restrain myself from blurting out ‘whip it, whip it good,’” says Feld. He soon realized he was being asked about the City of Boulder’s economic development department. His advice? Feld added that the economic development folks should stick to their role of being feeders for Boulder’s startup community and start asking entrepreneurs what they need to succeed. According to Feld, a successful and sustainable startup community needs both leaders and feeders such as economic development departments. Both are important, yet they have different roles and there can only be one true leader. Feld says there shouldn’t be a leader of the leaders and the classic patriarch problem is one to watch out for (“old white guys who made their money many years ago but still run the show”). The best startup communities aren’t hierarchies. They’re loosely organized networks with new leaders constantly stepping up, taking on and doling out community building assignments. “Becoming a leader in a startup community is a function of what you do rather than being voted into office or selected by some secret committee in a dark, smoke-filled room,” says Feld. Feeders are everyone else in the startup community, including government, universities, investors, service providers and large companies. The core entrepreneurship activity at the University of Colorado Boulder happens in the law school. Along with hosting conferences and groups, the school offers an entrepreneurship law clinic. The two most important contributions that large companies can make are providing convening space and resources for local startups and encouraging startups to build companies that enhance the large company’s ecosystem. 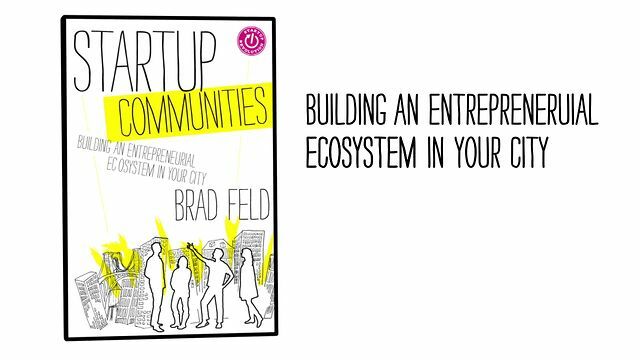 Feld also says successful startup communities need regular activities like hackathons and startup weekends that bring and bond leaders and feeders together in working on real entrepreneurial activity. This is a must read and a powerful call to action for Greater Hamilton entrepreneurs.